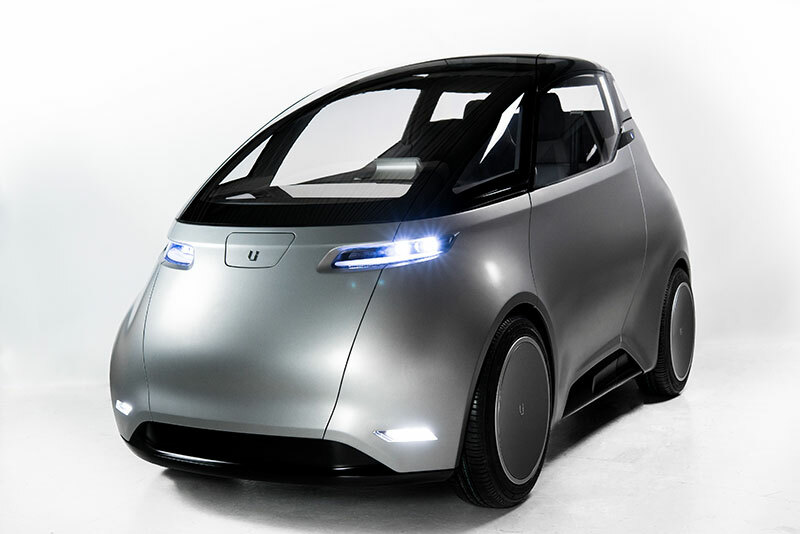 What do we know about Uniti so far? Its not really a car but a whole new concept of driving. Mainly the number of wheels is mostly the only thing it has in common with a car. It will be licenced as a l7e quadricycle which is for 4 wheel motorcycle or ATV since its less then 500 kg. It wont be controlled by pedals and steering wheels and it will be sold at electronic giant Mediamarkt in sweden! Secondary removable battery for 30km extra range. In a 2016 article on treehugger they claim it will have a 11 kWh sodium-ion battery. This was however only specualtion and uniti will NOT have sodium batteries! There are NO commercially available Sodium-Ion cells even if there are a few chem firms claiming to be on top of it, with faradion in the lead. We have asked them about the battery but so far there has not been any info about what voltage, chemistry, cells or sizes other then its a 22kWh pack. The company behind the project is called Uniti Sweden AB and was not founded until Q1 2016 by Lewis Horne. They launched a crowfunding campaign at fundedbyme during Q4 2016 ending successfully at €1,230,060 giving away 11.68% of its stock to its investors. They had a private investors round in Q2 2017 and another crowdfunding campaign in A3 2017. They have also revived 3 government grants. So far they have producent 3 prototypes. Two of them are displayed at MediaMarkt Stores in Malmoe and Stockholm. The third is shown on events. They plan to have a fully automated production line ready in 2020 to produce 50000 units annually. Manufacturing will start in Q3 2018. First deliveries in europe in Q4 2018 and asia Q3 2019. They have started preorders for a 5 seat 200 km range uniti for the india market in 2020 and the price is only €9000. They partner with Bird Group and will exhibit on India Auto Expo 2018. Posted in Cars, What we know about•Tagged Uniti•Leave a Comment on What do we know about Uniti so far? How accurate is the capacity test on Liitokala Lii-500? What do we know about Northvolt so far?